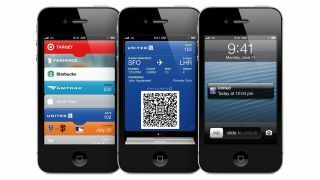 Apple's Passbook voucher app just got a little bit handier in the UK and Canada as it now works in Starbucks. Although caffeine fiends in the US have been able to pay and collect Starbucks rewards using Passbook for a while now, Canada and Britain are the first two international territories to do so. You'll need to download the Starbucks iOS app (free) and set up a Starbucks account before you can add your "card" to Passbook from the "My Card" tab in the app. Once you've set up your favourite Starbucks outlets, Passbook will then throw up your special payment code whenever you walk into one of them. Clever girl. The international Starbucks expansion comes just before Apple integrates Passbook payments into its own retail outlets. Reports are coming in that Apple Stores' retail software EasyPay will be installed so that it can accept Passbook payments, and should roll out in the coming weeks. There's talk of hardware issues in some Apple shops but we're sure the company has something in place to sort that out before the official Passbook shopping spree begins.